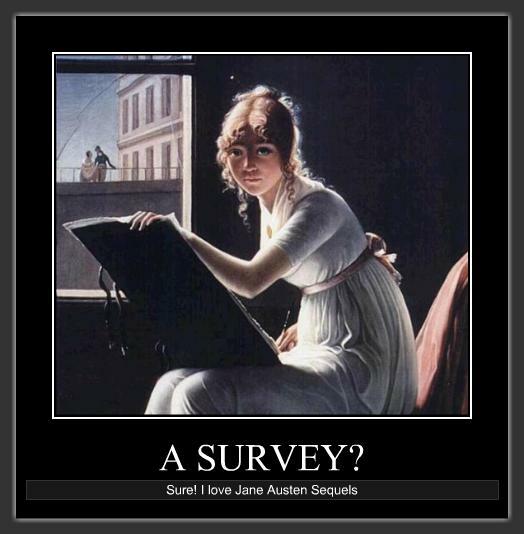 A Request from a Graduate Student: Hello Fellow Jane Austen Readers! Have you ever read a published sequel to a Jane Austen novel? Are you a fan of Jane Austen sequels? My name is Cliff Bryant, and I am a graduate student at Virginia Tech, conducting a research project on readers of published sequels of Jane Austen?s novels. I want to find out how readers came to read the sequels, and whether or not you like them. This entry was posted in Uncategorized by back to the past historic house parties and events. Bookmark the permalink.